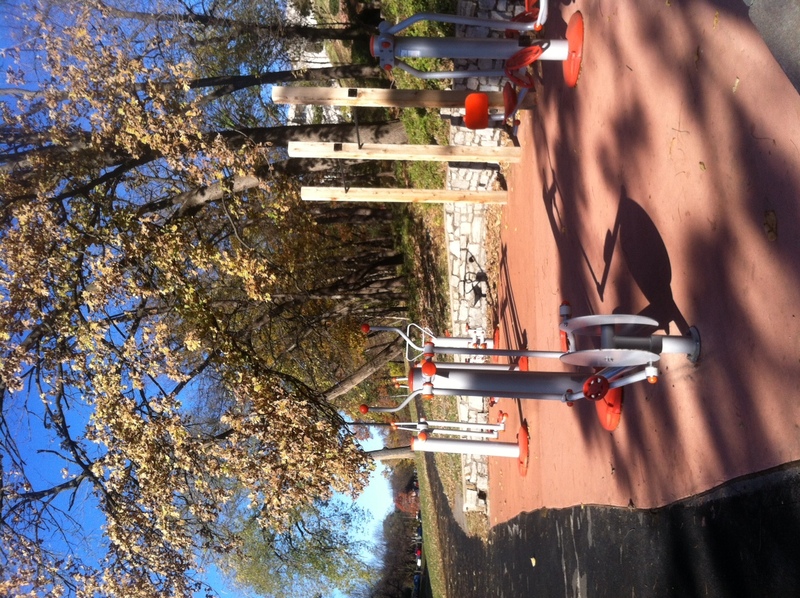 This week’s shout out goes to the parks department of Kansas City, Missouri for creating a sweet little fitness-seducing venue called Mill Creek Park. It includes a one-mile paved trail with non-threatening undulations punctuated with pods of equipment that you might mistake for playgrounds. Each pod has two or three mechanical gizmos with a specific strength or endurance task. The bright orange knobs and handles, the swinging platforms and seats call out to be tried. Way to go KC, MO! David and I are here visiting my beloved Uncles John and Dudley. We ran five laps around Mill Creek Park. The Rachel x Two runners take on 12.5 miles around Ballard, Discovery Park and Phinney Ridge tomorrow. Then they head into taper leading up to the Seattle Half and Full marathons on Thanksgiving weekend. I also have to do a celebrity shout out to a guy called Garrett McNamara. He’s a surfer who rode a world record setting 90+ foot wave this week. That really blows my mind. What have you been up to? It doesn’t have to break any records! Jest tell me so I can post it in next week’s shout outs.